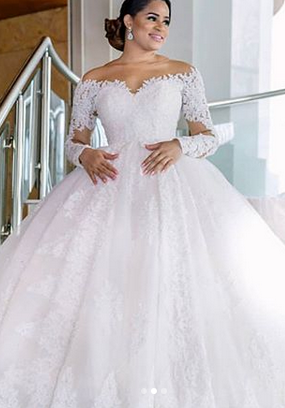 Newly married Iheoma Nnadi who called out her wedding planner a day after her wedding claiming she messed up her day has now said she has sued her. 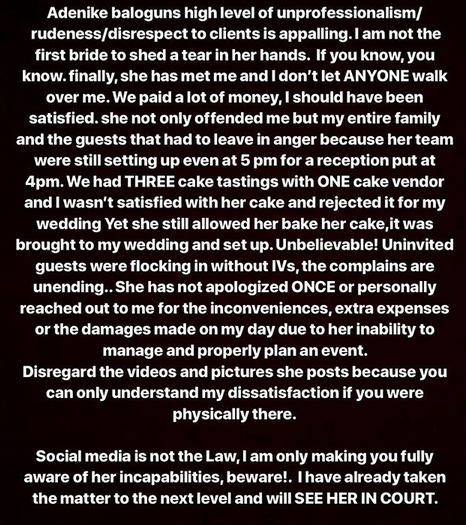 According to Iheoma, Adenike Balogun of Diamond Ink Events is yet to even apologize to her and she has decided to take the matter a step forward. Recall, Nike also released a statement saying Iheoma never called her attention to her complains, a statement Iheoma has denied.